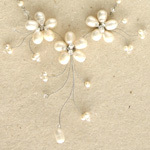 White tendrils give birth to three luminous flowers in this beautiful design by Thailand’s Sirada. 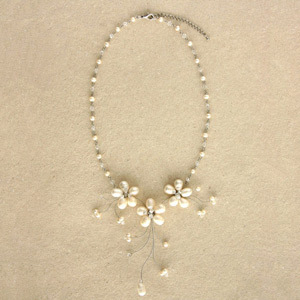 Combining pearls with faceted glass, the creative artisan handcrafts a wonderfully feminine necklace. It closes with a lobster claw clasp and features an extender chain to adjust its length. 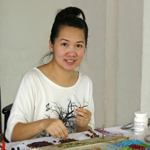 Materials: Pearls, glass and stainless steel.